Feral Interactive today announced that the third game in the rebooted Tomb Raider series, Shadow of the Tomb Raider, will be coming to macOS and Linux computers in 2019. As usual with Feral's early announcements, no specific date was given for the game's release on macOS. The game originally launched on PlayStation 4, Xbox One, and Windows PC in September 2018, published by Square Enix and developed by Eidos-Montréal. Shadow of the Tomb Raider picks up the story from the 2015 entry in the series, Rise of the Tomb Raider, and follows Lara Croft as she hunts for the legendary hidden city of Paititi in the jungles of South America, battling the Trinity organization and attempting to prevent a Mayan apocalypse. 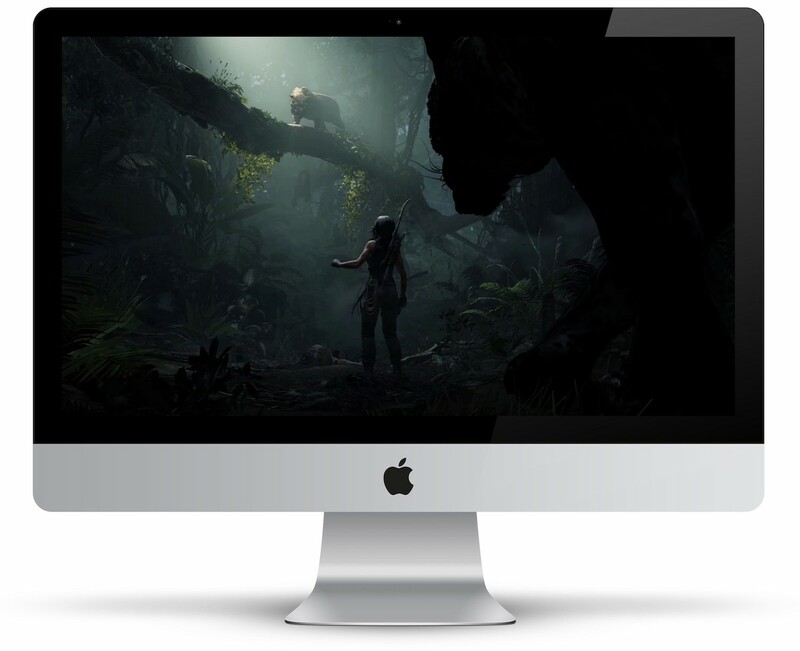 Shadow of the Tomb Raider will follow Rise of the Tomb Raider's appearance on macOS earlier this spring, in the form of the "20 Year Celebration" edition of the game that included all DLC content. Feral announced Rise of the Tomb Raider would be coming to Mac in February and then launched it in April, so we should hear more about a specific launch date for Shadow of the Tomb Raider after the new year. Feral also ported the original rebooted game, simply titled Tomb Raider, to macOS and Linux computers. A small, but fairly loyal contingent of Mac users care about video games. I am one of them. I don't care about gaming on the Mac anymore, but definitely appreciate Feral putting in the work for those who do. This is a great game btw. Will be a great addition to any Mac gamer's library. I think Mac users don’t game because until recently, we had no choice. With eGPU, now we do. I like this change very much. I just wish there was a good racing game like Forza or something available. Can any Macs actually run it without an eGPU? With ease, - this is a yes for the cMP club! 1) Apple to put discreet mid to high-end GPUs in all of their machines, and start reflecting a Macs price point (like they did 11 years ago). 2) Adopt Vulcan for pitty sake! 3) Talk to GPU chipset makers to have the hardware optimised for Metal. Just as Microsoft does to AMD and Nvidia, for Directx. Gamers don't touch Mac because the hardware is garbage for the price point, and the OS isn't optimised for graphics intensive tasks (although the later is improving slowly, but the former is getting worse every year). Point in case the mac-mini is a GPU-less brick that costs ~80% of the way to a VR gaming beast, but not 80% of the way in performance. Just spend the extra couple of hundred and get something that smokes it and all other "consumer" Mac flagships, for the next 3 years at least. I am surprised they still port games to the mac... who buys these? They are usually late to release and multiple times more expensive than on the PC side. Even so, no Mac is ever able to run them. I played Shadow Warrior-a 20 year old game-and it almost made my macbook melt. I can't imagine what a modern day game will do to the internals of the tightly stacked under powered macs of today. It runs wonderful on my iMac 27″ with i7, 16GB RAM and Radeon Pro 580 8 GB. Just like Far Cry 5, HITMAN 2, Assassin’s Creed Odyssey, PREY, Fallout 4, Civilization VI, Dishonored 2, Divinity original Sin 2, Wichter 3, DIRT 4 etc. All newest games run perfectly. Very High or Ultra, 2560×1440, 70-90 FPS (Bootcamp). Got it on Steam, so as soon as Mac verion is there, I will be able to play without Bootcamp. In other news, EA announces it plans to bring “NHL ‘96” to Macs by Q1 2020. There is a massive difference from not gaming to wanting to game at 4K 120fps. I am able to game on ALL my macs. Not ultra max settings. But they can certainly game. Same hardware and Windows 10 makes it better.